The Altec Lansing ALX- S18P Extreme Performance Powered 18" Front Firing Subwoofer is perfect for all performance spaces, from the most laid-back to highest intensity. 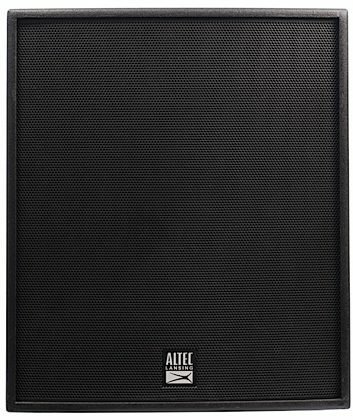 800W RMS and 1,600W peak Class D digital power cuts through your audience while maintaining the incredible performance quality Altec Lansing is known for. The system hosts a beastly 131dB of mind numbing bass for next-level sound, no matter your style. Altec's specially designed solid premium grade multilayer plywood construction is both durable and dense, enhancing low frequency output. zZounds is an authorized dealer of Altec Lansing products.